If you've been following my blog for a while now, you may remember that I'm a huge fan of Disney/pop culture artist Dave Perillo. I've talked about him and his work more times than I can count on here and I'm always looking forward to what's next from him. 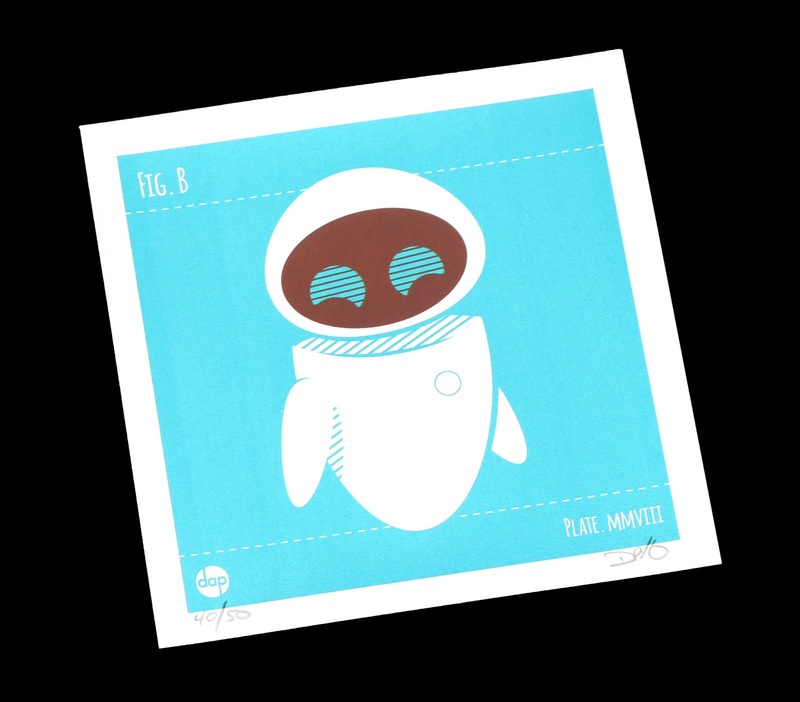 On October 5th, Dave revealed [on his Instagram page] two New York Comic Con (NYCC) 2016 exclusive prints featuring Pixar's famed robot couple Wall·E and Eve. Naturally, these were immediate "must haves" for me. Just look at how fantastic they are! Long story short, once NYCC actually started, I was able to convince my Brother Rob (of Herofied Art) to snag them for me while he was there running his own booth (unfortunately I wasn't able to make it to the convention this year). A huge thanks to him for hooking me up. Dave's instantly recognizable, minimal style is here with these in full force. I absolutely love what he did with the designs and colors! Simply striking. The prints themselves are 6"x 6" in size and were sold for $10 each (and yah, I am so framing these ASAP). 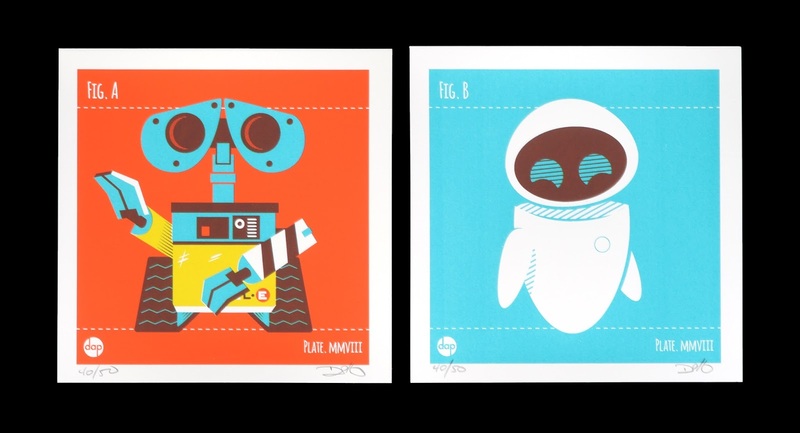 These prints are now extremely rare, since only 50 were made all together. It's so cool to have both of them signed and numbered (40/50)! The "awesome factor" automatically goes up a few notches when any art is limited/exclusive like this. 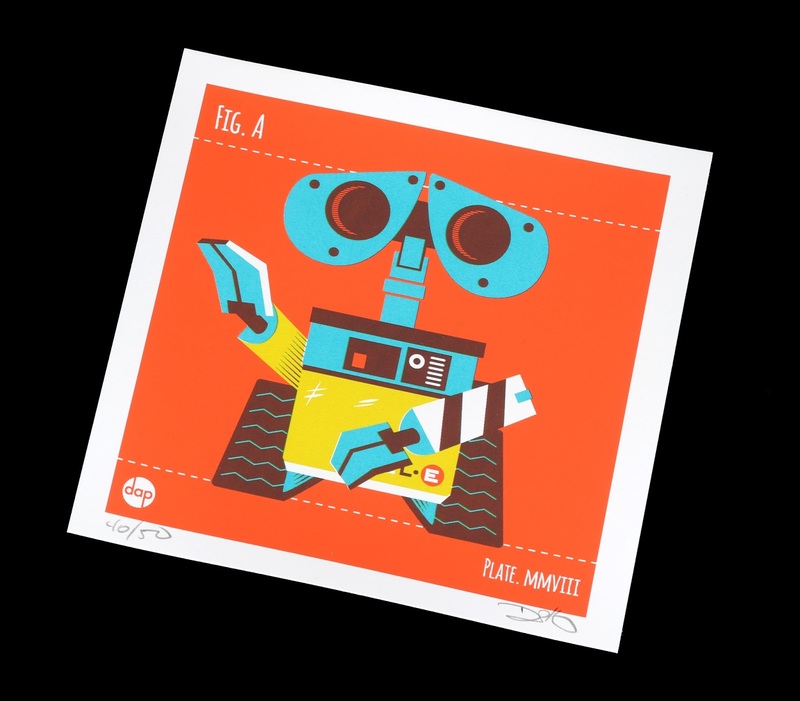 To see more from Dave Perillo, you can check out his portfolio on his blog Montygog (as well as all the upcoming shows he'll be attending). If you like what you see, be sure to hit him up on Instagram and Twitter as well. The Art of Finding Dory GIVEAWAY!